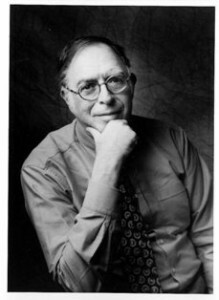 Monroe E. Price is director of the University of Pennsylvania’s Center for Global Communication Studies (CGCS) at the Annenberg School for Communication, where he works with a wide transnational network of regulators, scholars, and practitioners in Europe, Africa, Latin America, and Asia, as well as in the United States. Price also founded the Programme in Comparative Media Law and Policy at Oxford University and remains a research fellow there. He chairs the Center for Media and Communications Studies at Central European University, a project instituted and encouraged by CGCS. Price has served on the President’s Task Force on Telecommunications Policy and the Sloan Commission on Cable Communications (both in the 1970s) and on the Carter-Sagalaev Commission on Radio and Television Policy (in the 1990s). He was a long-time member of the International Broadcasting Institute (now the International Communications Institute). His publications include Media and Sovereignty: The Global Information Revolution and its Challenge to State Power; Owning the Olympics: Narratives of the New China; Self Regulation and the Internet; and Objects of Remembrance: A Memoir of American Opportunities and Viennese Dreams.